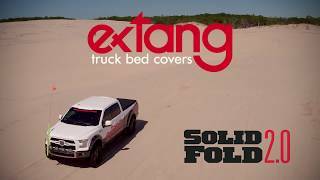 The new Solid Fold 2.0 truck bed cover from Extang is chock-full of new features, including jaw-grip cab clamps and reengineered EZ-Lock bed clamps. Check out all the exciting new elements here! Via mail-in form. 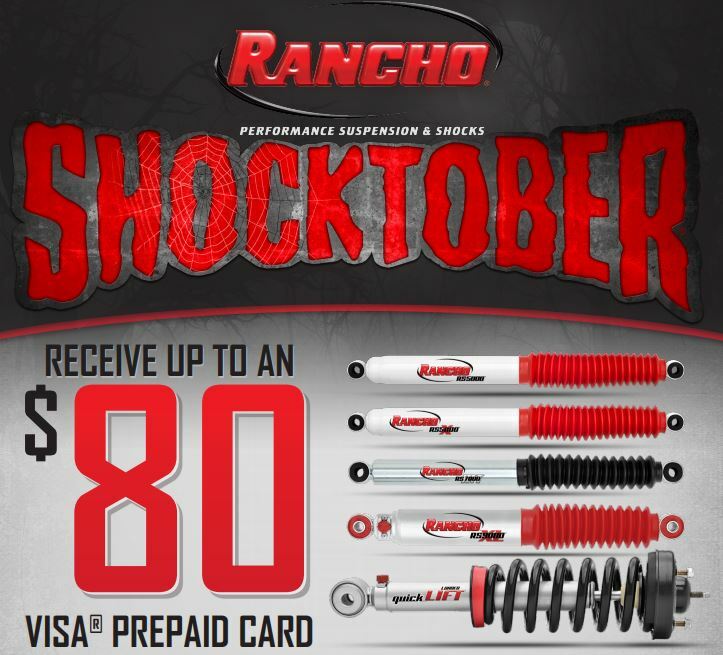 Qualifying purchases must be made between September 1 and October 31, 2017. Click image for printable form and complete details! <p>Via mail-in form. Qualifying purchases must be made between September 1 and October 31, 2017. Click image for printable form and complete details! The DOT Series line of halogen replacement bulbs from Vision X features a B1 coating to provide a super-white light while remaining fully DOT approved. 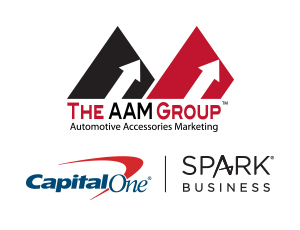 The automotive bulbs in the DOT Series line will shine brighter and farther than standard bulbs, provide more natural light color, improve depth perception, and reduce eye fatigue. Super-white beam creates more natural light color. Better depth perception and less eye fatigue. Coming soon from BOLT, the BOLT Collar Kingpin Locking System secures your fifth-wheel kingpin with visible off-road theft deterrent, headlined by a powder-coated, hardened-steel collar that resists corrosion and tampering. 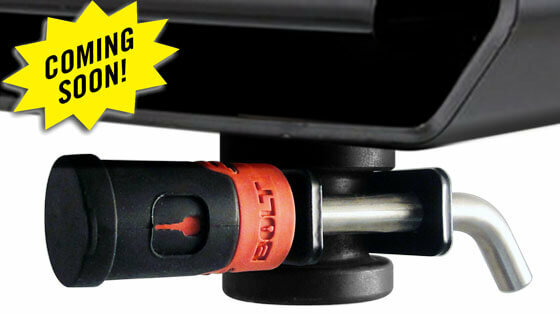 The 7032039 works with any BOLT 5/8” receiver lock and is backed by a limited lifetime warranty. Secures your fifth-wheel kingpin with a visual theft deterrent. Compatible with 3/8” BOLT receiver locks. 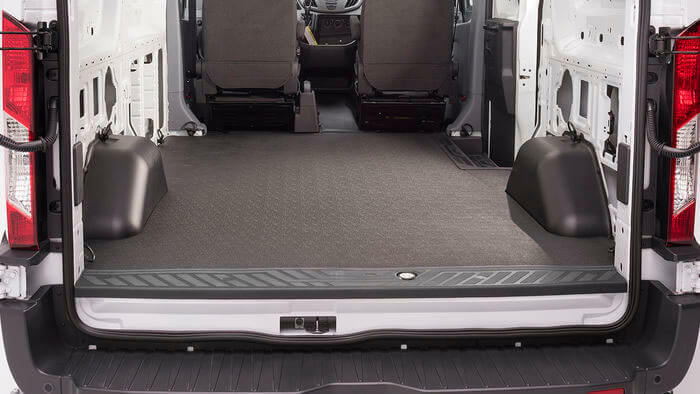 With their custom foam backing, VanTred cargo mats from BedRug provide a rugged work surface, both protecting your van and cargo and insulating against noise and heat. The tough material resists water, mildew, mold, harsh chemicals, and stains; plus, the anti-skid rubber surface means that your cargo won’t slide around. Die cut to fit your specific make and model, VanTred’s ribbed foam backing fits floor contours to ensure smooth looks and added cushion. When you need to clean it, just hose it off or take out your vacuum; in moments, your BedRug VanTred surface will be good as new. Installs in minutes! Resists gas, oil, chemicals, bleach, and battery acid. Die-cut for clean, finished edges. The RB20 hitch step from Go Rhino adds a popular Raptor-style element to the back of your truck. Enhanced with RB20 series-style louvers, its 36” wide step surface provides a safe way to get up into the bed or stand and work. This one-piece, mild-steel component fits 2-inch receivers. Available in two finishes: textured bedliner (RB620T) or textured black powdercoat (RB620PC). RB20 Raptor design with matching louvers. Complements Go Rhino RB20 running boards. Secure 36” wide stepping platform. Two finishes: textured black powdercoat or textured bedliner. Come inside the Total Truck Centers™ garage as we take you through the installation of some of today’s hottest truck accessories In this episode, we install the Pro X15 Premium Roll-Up Truck Bed Cover on a 2017 Chevy Silverado. 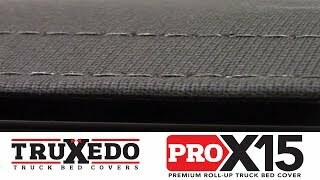 <p>Come inside the Total Truck Centers&#x2122; garage as we take you through the installation of some of today&#8217;s hottest truck accessories In this episode, we install the Pro X15 Premium Roll-Up Truck Bed Cover on a 2017 Chevy Silverado. Available for front and rear, the new Jeep Wrangler JK recovery bumpers from Rampage Products are engineered for supreme rock-crawling and off-road abuse. 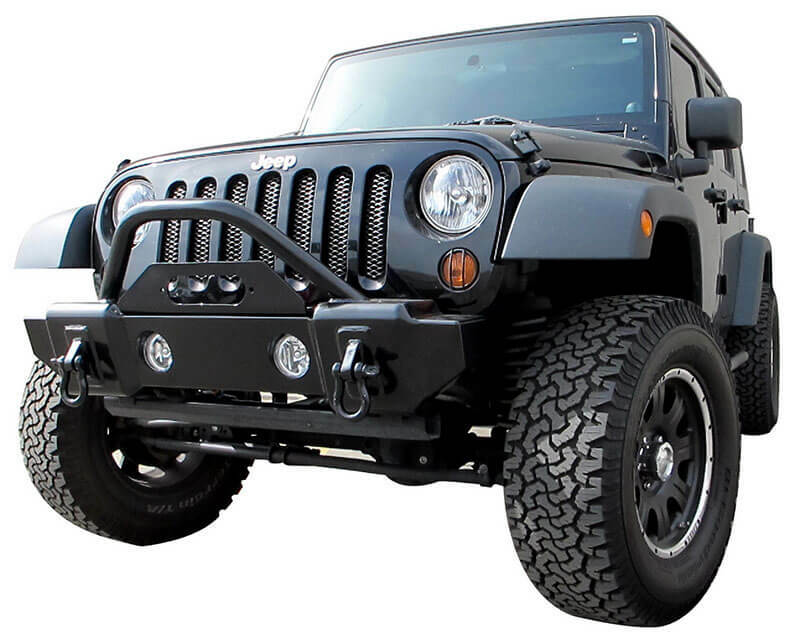 Both bumpers attach to factory mounting points—no drilling is required—accept Jeep factory driving lights or Rampage recovery bumper lighting (not included), and include winch plate and custom D-ring shackles. Available in either a semi-gloss black finish or a textured black finish. Ground-level dual light receptacles maximize light distribution, minimize footprint, and add protection. 3/16” steel plate design with 4” light openings and protective stinger. Custom welded shackle mounts with 1” clevis. Two 4” light receptacles (lights sold separately). Available tire carrier variants shift weight from tailgate to bumper. Custom welded shackle mounts with 1” clevis (Class 2–rated tow hitch). If you want a BIG lift kit for your Tundra rig, the ReadyLIFT 44-5877 8” complete lift kit with ever-popular Bilstein shocks is the obvious choice. 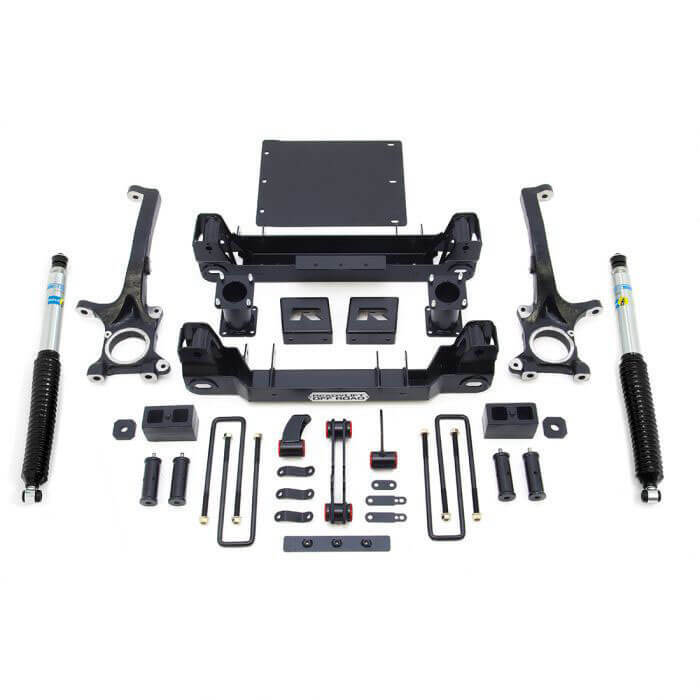 This kit starts with an ultra-strong, laser-cut, CNC-bent, welded and boxed subframe drop assembly that both maintains your suspension geometry and increases ground clearance over 2” more than the competition. Its unique iron knuckles guarantee a precise fit while allowing retention of factory tie rods. The kit creates 8” of lift thanks to ReadyLIFT’s offset spacer design, which attaches to the factory strut (for a factory ride) without increasing track width. This means your front tires won’t stick out further than your rear tires (like with other kits). Plus, it means you can run your stock wheels and maintain your spare tire if needed. Wheel note: The 44-5877 system works only with 20” factory wheels (will not work with 18” factory wheels). Aftermarket wheels acceptable. Guaranteed to keep your factory ride and never wear, break, or fail. Guaranteed toughest finish and safest way to lift. Laser-cut, CNC-bent, welded and boxed subframe drop assembly. CNC-machined iron knuckles allow use of the factory tie rods—no cutting or replacing. Precision-crafted offset upper strut extensions and spring compression spacer retain factory track width. Easy-to-install differential drop system keeps the CV and driveline angles near factory for optimum 4WD performance. Includes new Bilstein shocks (rear). New powder-coated sway bar frame mount spacers keep your sway bar working properly. Thick steel skid plate protects your engine and subframe in adverse driving conditions. Powder-coated strut extensions, cast iron rear blocks, and U-bolts will last as long as your Toyota. Rear blocks are designed FOR the Toyota Tundra (not universal blocks!). Guaranteed for life against manufacturing defects.